If you feel like enjoying a day of sport in the style of an Olympic competition, full of exciting challenges to overcome, we have up to 20 different activities so you can choose the ones that motivate you the most. And we always adapt them to your requirements! Various teams compete against each other throughout the day, at different activity centres. Each team is identified by a distinctive element and all are rotated for each activity. The number of activities varies depending on the time available but six to eight are recommended. Orienteering circuit, parachute-volleyball, wheelbarrow relays, mini-bike circuit, unicycle tour, medieval bicycle tournament, rock wall climbing, skibus, sack racing, bat games, archery, tug of war, H2O relays, table football and go-karting. 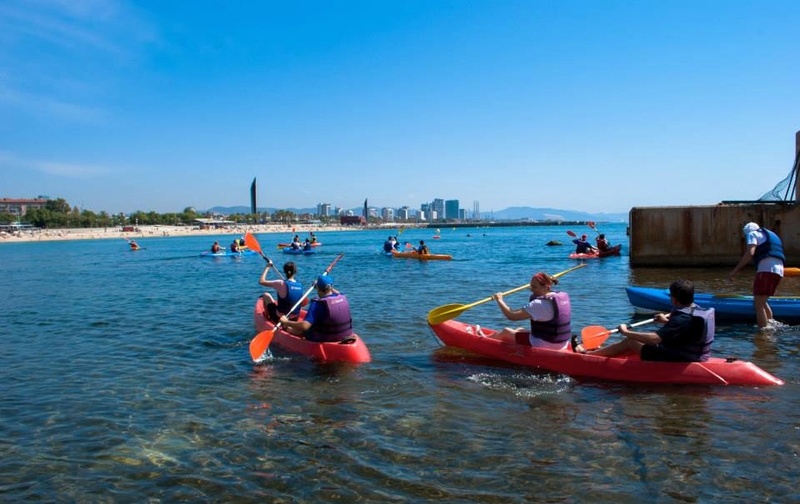 Obrint Via is supported by the Catalan Federation of Kayaking and currently we manage the unique School of Kayaking in all Barcelona city. 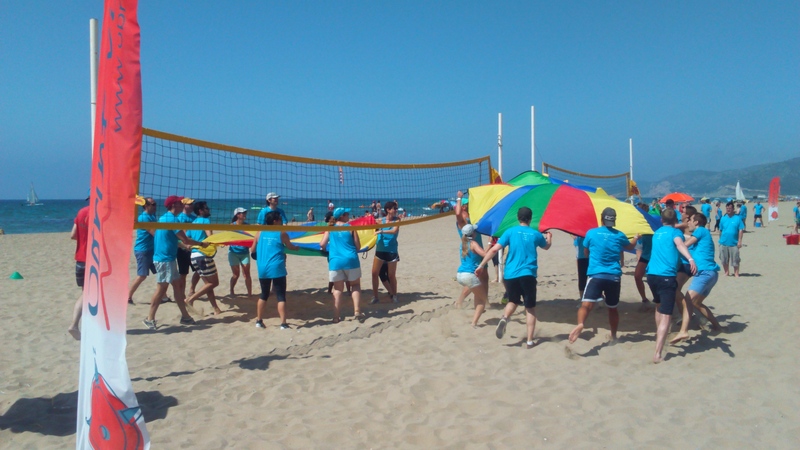 We are based in the facilities of Patí Vela Barcelona Club in Somorrostro beach (Barceloneta). Kayaking is very simple and logical but, nevertheless, prior to entering the sea an initial briefing is given with an explanation of the basic techniques to ensure everyone can take part without any problems, even if they’ve never kayaked before. The kayaks used are recreational K-2 (doubles). After putting on lifejackets, you can start to enjoy recreational kayaking via fun activities in an especially designated area of the sea. *For experienced kayakers we also have K-1 kayaks. *As a kayaking school we also offer beginner and Eskimo roll courses. Participants use K-1 kayaks (individual) and can choose from a wide range of routes adapted to suit all technical levels. – Barcelona: leaving from our base at the Olympic Port, we kayak to discover the “city skyline” – a skyline most tourists are completely unaware of! – Costa Brava: These routes discover undisturbed locations hidden among the rocks, caves, narrow passages and small bays, making this activity very interesting and entertaining. Leaving from: Port Lligat, Cala Montgó, Tamariu and Platja Castell. – Llosa del Cavall reservoir in Vall de Lord. Nature in its purest state in the foothills of the Pyrenees. We offer various guided routes on the reservoir in a wild environment overlooked by the mountains of Port del Comte, Busa, Els Bastets and Mola de Lord. 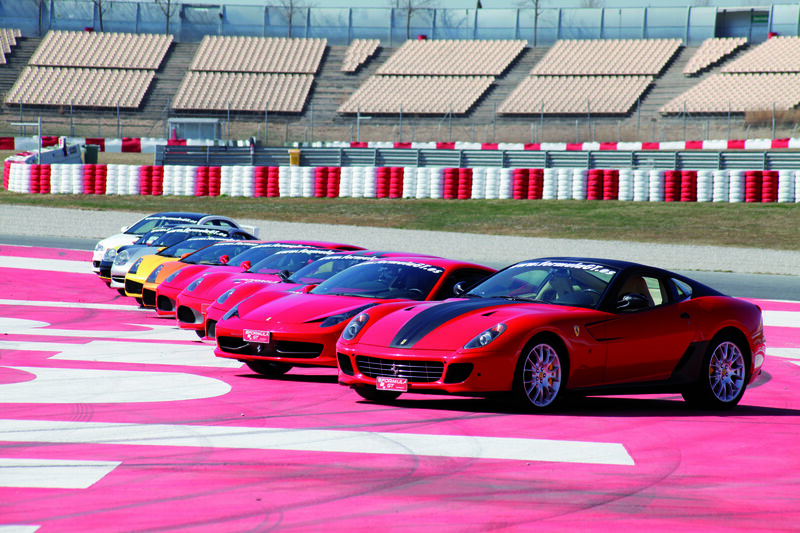 Get the same feelings as racing drivers early in their careers on this F1 introductory course. 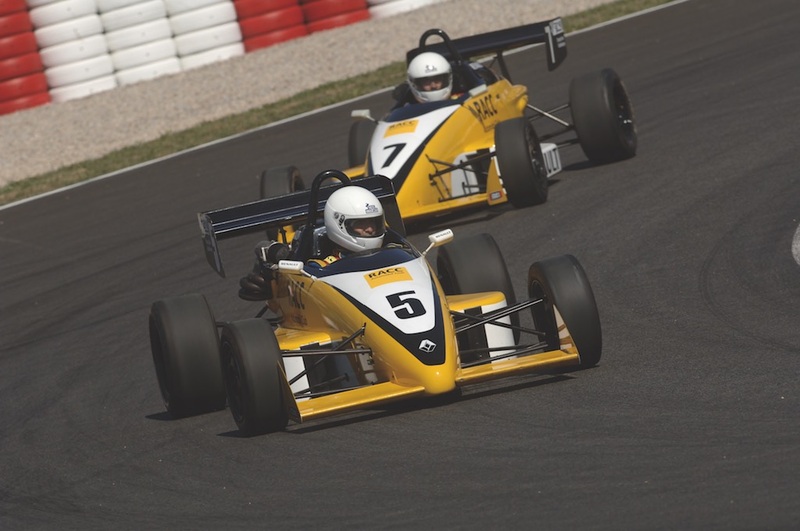 Spend a day at full throttle in a Formula Renault single-seater racing car! Feel the most incredible sensations at the wheel of the most luxurious, powerful and sophisticated cars. Supervised and accompanied by expert drivers. Sit back and feel the speed at the Circuit! 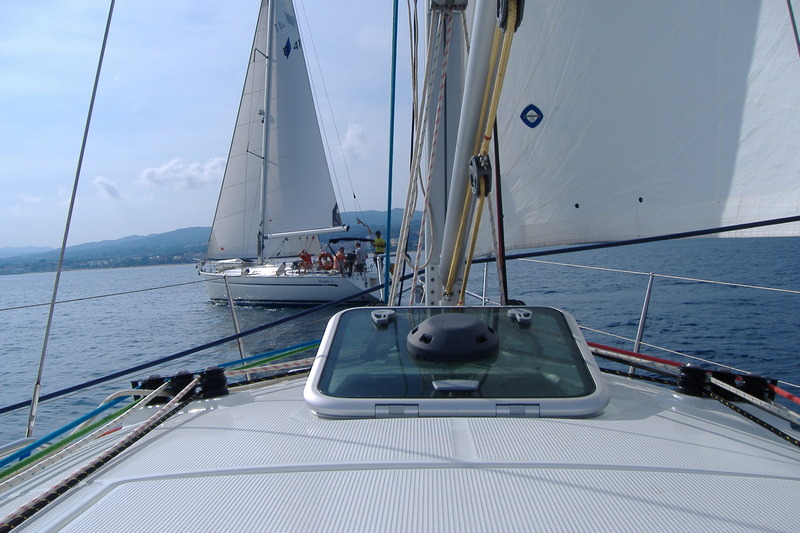 Sailing using only the strength of the wind creates a unique onboard atmosphere, one that allows you to share emotions and feelings with your colleagues. Our expert skippers introduce the basic concepts of sailing to beginners and advanced techniques to experienced sailors. The whole team will enjoy a sailboat trip, with spectacular views of Barcelona! Would you like to learn how to form part of a crew with the help of expert sailors and put your skills and those of your colleagues to the test? This regatta will highlight the similarities between sailing and the business world. And there’s a party at the end! A sailing treasure hunt is a unique way of having fun while also building team spirit. Participants consult maps, look for objects floating in the sea, discover treasure troves… and put their skill at sailing with just the force of the wind into practice.